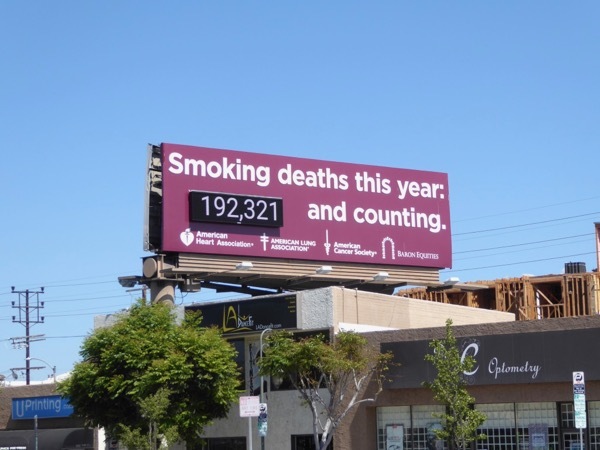 In honour of the Great American Smokeout organised by the American Cancer Society here's a special anti-smoking counter billboard installation that has created a metaphorical stink in L.A.'s skies for many years. Today you can encourage someone you know who smokes to quit for a day, whether it be cigarettes, cigars, pipes, or hookahs, and get them to start living a healthier life without the addictive need for tobacco and reducing their risk from cancer. 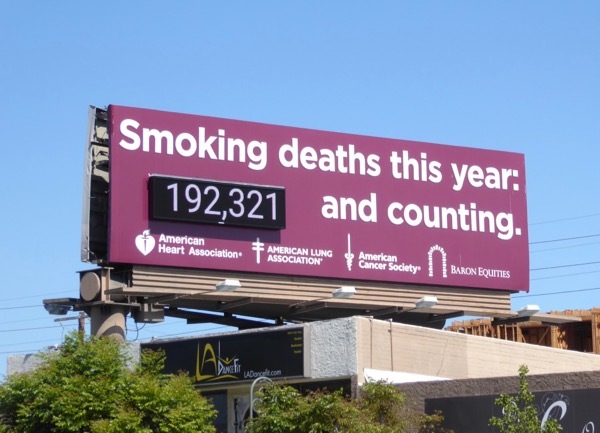 Daily Billboard has photographed this clever gimmick billboard over the years and the purple version was snapped along L.A.'s Santa Monica Boulevard on the westside on June 9, 2017, the red version was photographed on June 16, 2014 and the black execution was captured in June 2012. 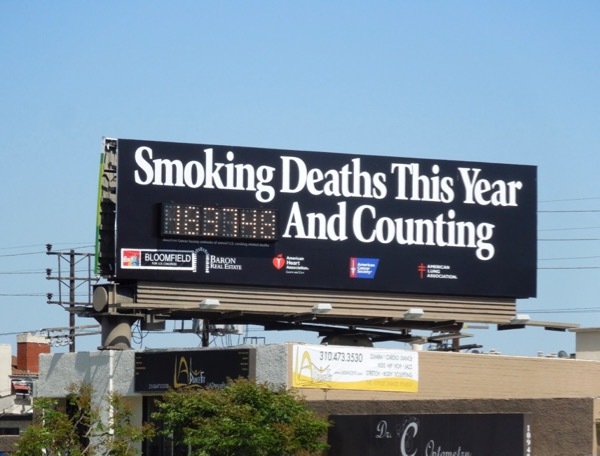 As you can see the counter increases to reflect deaths attributed to smoking as the months pass each year. 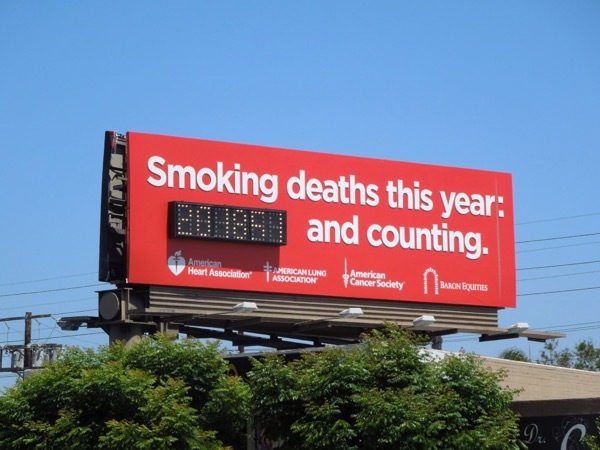 Daily Billboard has lost far too many friends and family to heart disease, cancer and smoking-related illnesses, so if you're thinking of quitting, make today the first day of the rest of your life.